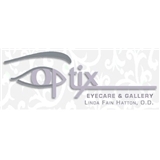 Optix EyeCare & Gallery (Dallas) - Book Appointment Online! The Eye Doctors and Staff of OPTIX EyeCare are Dedicated to Serving You, our Patient, with the Highest Quality of Vision Care along with Superior eye care products, such as eyeglasses, contact lenses, prescription sunglasses, designer frames & lenses and more. At OPTIX EyeCare, the premier eye doctors providing the best in eye care in Dallas Texas, we believe in Forming Life Long Relationships by Striving to Preserve Future Visual Health, and Meeting all of your Visual Needs. The entire staff was very friendly and helpful. The facility is beautiful, and I loved all of the updated technology. I feel that this is definitely the most in depth eye exam that I've had. The physician spent a lot of time with me making sure the prescription was perfect. Everyone was helpful, and they did all apologize for the long wait. I was fitted for my glasses prior to the exam since they were backed up, which I did appreciate! My appointment was at 3:30, and I did not leave until 5:15. However, everyone was helpful and I would recommend!